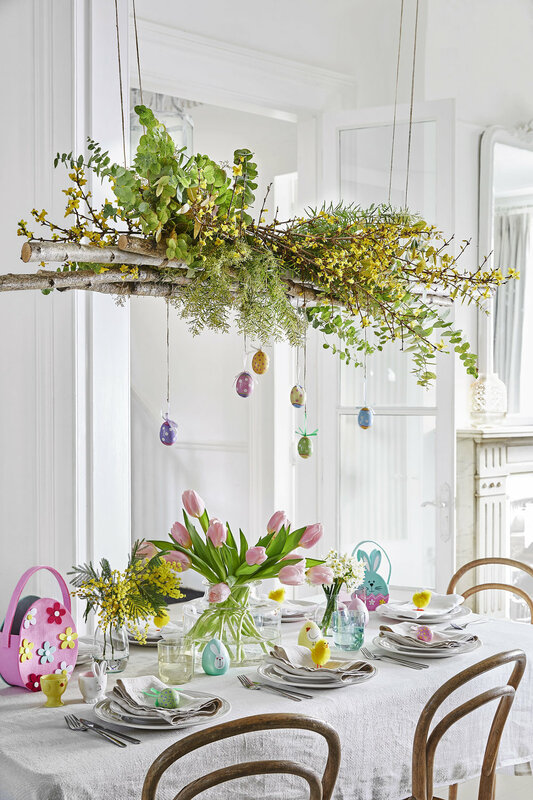 A holiday gathering will be much more memorable with a cheerful springtime table setting, with plenty of seasonal touches to bring it to life - from pretty hanging eggs on a tree, to colourful wreaths and, of course, a sprinkling of cute, decorative creatures, be it bunnies or chicks. Style it out and that setting's sure to be Insta-worthy, promises Rebecca Stanton, a stylist and visual merchandiser at Dobbies. "Easter decorating includes some of my favourite styling elements, including pretty pastels, blooming bouquets and fresh foliage," she says. "A mix of candy-coloured decorations will bring a table to life, especially with the addition of miniature chicks and Easter bunnies to set the tone for the occasion. Nothing says springtime like a bunch of gorgeous tulips, helping bring a touch of the outside in," Stanton adds. "Frankly, you can never have too many flowers!" Time was, decorated trees were just for Christmas - but they're rapidly becoming an essential ingredient for Easter decor too. "Within the home, an Easter tree is an eye-catching statement piece which can be dressed up or down, depending on your style," says Lisa Rutherford, stationery and seasonal events buyer at John Lewis. "They're becoming ever-more popular. A small collection of hanging eggs can look beautiful and under-stated. If a full-sized tree isn't for you, consider a smaller table-top tree version, or just a simple collection of branches in a vase with a few ornaments for a mini display." Hop to it and gather a collection of chicks and bunnies, which children will love but can also be all you need to pay a subtle nod to the season. Hang several on a wire across a window frame or mirror (double the visual impact), or hang individually on cupboard handles or from a pendant light above the table. 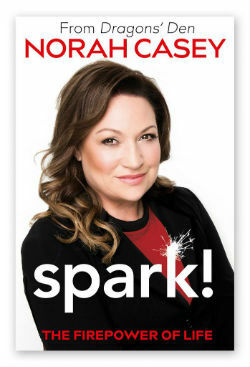 "A meal, and the table setting, is at the centre of many Easter celebrations," says Rutherford. "It's worth investing in the ingredients for a scheme which you can use again. Consider following a colour scheme - yellow or zingy green are both top choices for a crisp, fresh look. "Whether you want something fun and functional, maybe a grass table runner and a line of tiny pots of faux daffodils, or a little more sophistication using pastels and muted florals, your table offers a space to be creative and playful. It doesn't need to be over-elaborate to be successful." Splurge on a few new pieces of Easter-inspired homeware to give a table setting a lift, or to decorate a mantel or shelf. They may be just the finishing touches you need. If that's beyond the budget, with all those chocolate treats to pay for, simply fill a clear glass bowl full of eggs (traditionally, real eggs are hard boiled and dyed with food colouring) and place in the centre of the table, or opt for a simple spring bouquet from the garden. For a quick fix: Use a ribbon or twine to tie a hanging decoration to each napkin and personalise with a label displaying each guest's name. Easter wouldn't be the same without an egg hunt - after all, you don't want to be responsible for making the Easter bunny redundant! Pop up a sign, scatter some artificial eggs, and have chocolate treats as prizes. Nature's waking up after winter, with blossom and new growth galore - a beautiful feature of the season. Reflect that indoors too, with floral wreaths and garlands (faux ones are so good nowadays, it's hard to distinguish them from the real thing). Hang on a door or wall, or use as a table focal point. Don't confine decoration to inside the house - wreaths hung on a front door, or a tub of spring flowers in a porch makes an attractive, welcoming touch, and will hint at more decor treats inside.